Welcome to the GMS High Performance Hockey Academy Page ! Please check the News and Announcements Tab regularly for important , time sensitive information ! If you are a parent/ guardian/ student in the Hockey Academy please sign up for the program REMIND which is a free, safe, easy to use communication tool that helps teachers communicate instantly with students and parents on either your smart phone, cell phone or via email ! All students and at least one parent/gaurdian must be sigend up to recieve messages this way. ​ Welcome back to returning HA alumni and welcome to all of you new student athletes. 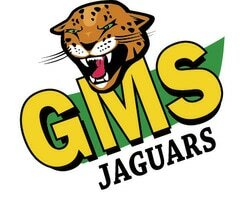 We are really excited about all the wonderful new things happening at GMS this year and in the Hockey Academy. This year we are using a new timetable format which wil make it alot easier to keep track of ice times and blocks. This year we follow the exact same block order every day for a week at a time and hockey days are the same days every week ... all ... year ... long. As a parents and students I am sure you will appreciate the predictability of the new schedule ! Below are some notes about what days of the week hockey falls on and the 4 different weekly block order we will rotate through. *Grade 7/8 Group in Blocks AB – Always have HA on Mon., Tues. , Thurs. *Grade 8/9 Group in Blocks C/D – Always have HA on Mon., Wed., Fri.
Week 1- ABCD – Grade 7/8 Group – Mon., Wed., Thurs. a.m , Grade 9 Group – Mon., Wed., Fri. p.m.
Week 2 – BADC - Grade 7/8 – Mon., Wed., Thurs. a.m , Grade 9 – Mon., Wed., Fri. p.m.. Here are the ice times up to the End of May !